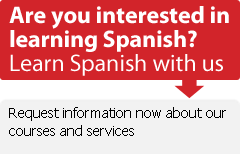 Spanish is a language that has been alive for many centuries and has spread all around the world. 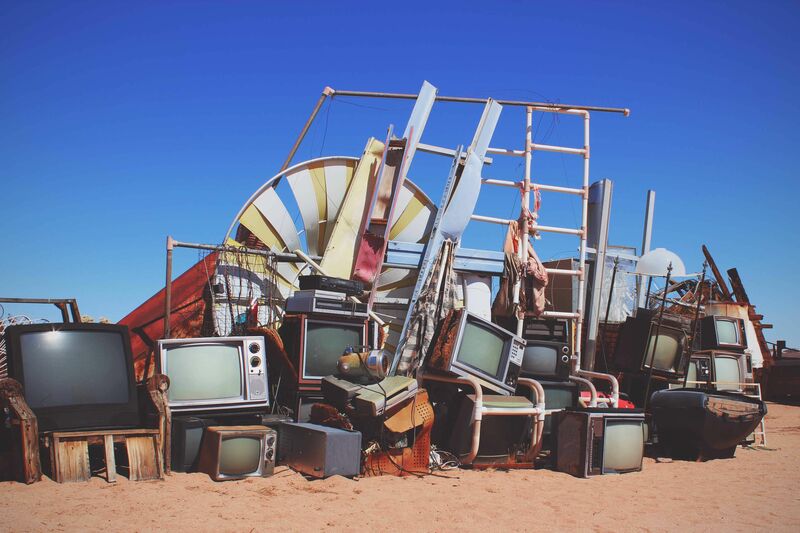 Television, on the other hand, has not been around for as long, but it has managed to depict a number of different eras. Here’s a list of TV series to add to your watchlist to enjoy hearing how Spanish has been spoken throughout history. Click here to read this post in Spanish. We’ll start our journey by traveling to 15th-century Spain, although the country didn’t have that name yet. The show Isabel gives us the opportunity to see the life of Queen Isabella The Catholic. She inherited the Crown at a very young age and came face to face with many men who wanted to take the throne from her. The series offers a historical overview (although it’s not always faithful to the truth) and shows everything Queen Isabella had to go through — wars, envy, and the love affairs of the aristocracy — and all she had to suffer in the name of her people. After seeing what life was like in that century, let’s jump to the early years of the 20th century, landing at Gran Hotel, a series that begins with Julio’s arrival to one of the biggest and most luxurious hotels in all of Spain. Julio has come to the hotel with the intention of finding his sister who has disappeared, but in the meantime, he falls in love with the beautiful and wealthy daughter of the owner of the hotel. The two share a love as deep as it is forbidden due to the great difference in their social classes. In this show, nobody is who they seem to be. Everything is a mystery. 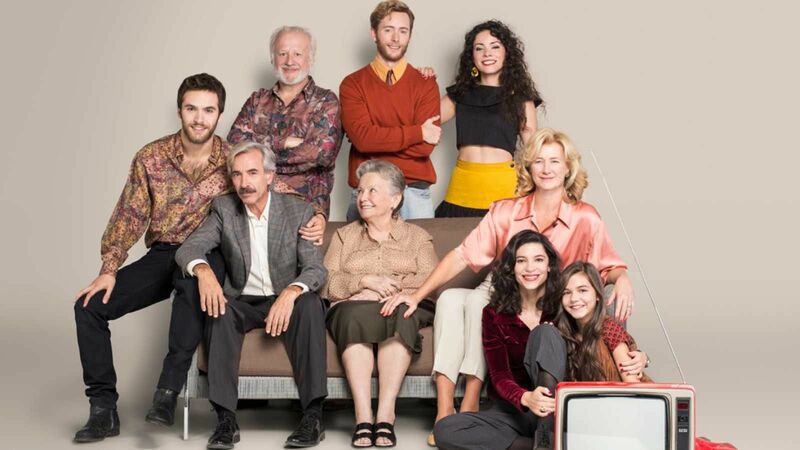 Speeding up our travel through time, we arrive to a Spain that is a bit more modern with Cuéntame cómo pasó, the longest running series in the history of Spanish television. The show is a reflection of everyday Spanish life, something every viewer can relate to. It revolves around everything that happens to the Alcántara family from the year 1968 onward. Each season covers one year; currently they are in 1990. The hundreds of episodes have shown what life was like in Spain during the dictatorship and the transition to democracy, in childhood, teenage years, and adulthood, and how families have changed with the arrival of cars and TV. It’s a true summary of the country’s most recent history. After this leg of the trip, if you want to hear what Spanish sounds like today without leaving your couch, your best option is to watch Los hombres de Paco. This series focuses on a typical police station and three officers, Paco, Lucas, and Mariano, who have good hearts but are accident-prone. As the leader of the team, Paco is in charge of coordinating the missions, but he’s absent-minded, unorganized and easily distracted. In addition to following the team on all their adventures chasing criminals, this show provides a healthy dose of humor and emotional moments. 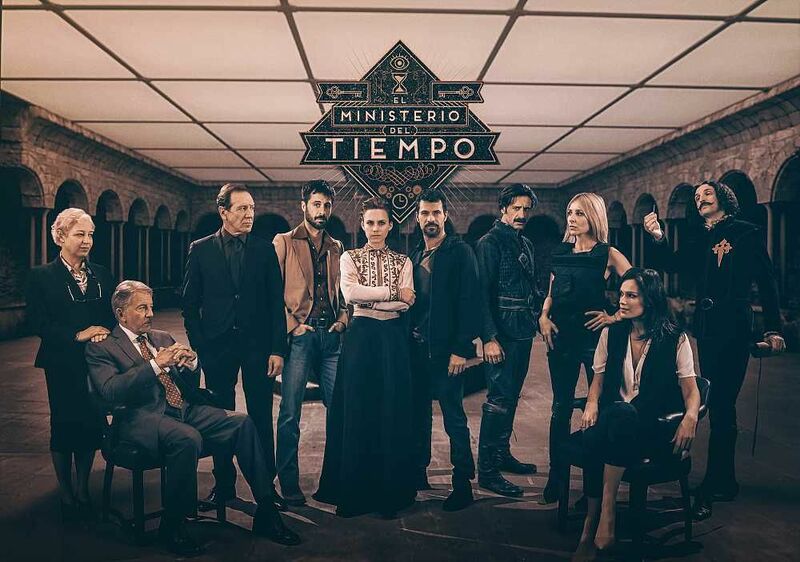 There’s a series that covers the various types of Spanish spoken in all the different historical eras: El Ministerio del Tiempo. It takes place in the current day, but the main characters are part of a government team responsible for preserving the past. They have to time travel throughout history to prevent their enemies from making changes that would prove catastrophic in the future. Thanks to these travels through time, we get to see famous figures like Cervantes, Lope de Vega, and many others who have played an important role in Spanish history. That brings our overview of Spanish through the eras as seen on TV. Choose a show, press play, and enjoy listening to the evolution of the Spanish language.